Explore a handcrafted world in a quest for unusual and magical objects. 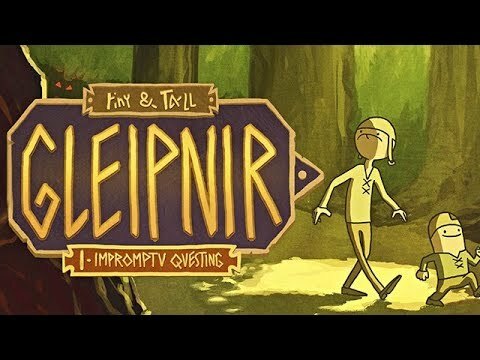 Tiny and Tall: Gleipnir is a classic yet modern point-and-click adventure, inspired by LucasArts' legendary titles. Two barely competent and charmingly-inept blacksmiths find themselves contractually bound to the Norse gods and have to explore a lovingly handcrafted world in a quest for unusual and magical objects. While they look for these ingredients, the sinister gaze of Loki, the Trickster god, casts an evil shadow on their path. Solve not-so-convoluted puzzles, talk to eccentric characters and discover an epic Norse legend. Featuring old-school gameplay with a modern realization, more than 50 hand-painted levels and an entirely optional clue system, Tiny and Tall: Gleipnir is a delightful and epic adventure.